With the school year more than halfway through—jeez, how is that possible? !—more and more high school seniors are locking in their post-grad decisions, whether it’s a four-year university, a two-year community college, the working life, the military, or otherwise. For college-bound students, the prospect of finally being (relatively) on their own, free as a bird, is simultaneously the most exciting thing ever (ohmygosh), and the most terrifying (ohmygoshwhat). To those students I say, that’s all right! We’re all entering a new chapter of our lives, unaware of the triumphs and failures that will hit each of us like a speeding bicyclist on the first day of class. We have a right to be enthusiastic—and a little nervous. Here’s how to channel all that energy into ways to get ready for your first year of college. One of the best ways to connect with other prospective or accepted freshmen at your university is through social media. I joined the University of Oregon Class of 2021 Facebook group last month and was able to meet a bunch of great people I may not have had the chance to talk to otherwise. Through Facebook, admitted freshmen can swap Snapchat, Twitter, and Instagram usernames to get a feel for the rest of their incoming class, and maybe even find a potential roommate (you know, one who showers on a daily basis). A way I personally got hyped for the college experience was by going to my college’s website and checking out all the awesome clubs and intramurals available on campus. Yes—sports. You may be thinking, Ryan, I could never do a sport — I absolutely abhorred P.E. in high school! And to that I say, first of all, nice vocabulary you’ve got there. Second of all, yeah, in high school. College intramurals are a whole new ball game (baddum tsss). College intramurals are often a lot more laidback than their high school counterparts, since they’re played just for fun. When else are you going to get the chance to play on a Quidditch team? Research those classes, and maybe even e-mail the professors if you have any questions. Getting a head start on that massive course catalog packet now can save you a big headache in the future. (Just as long as, you know, you’re not using it as a method to procrastinate on actual school work.) 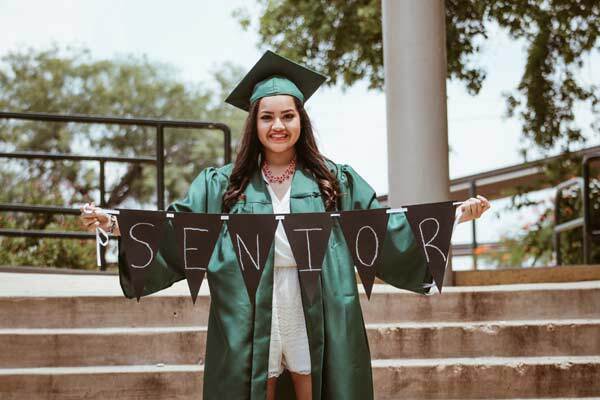 If you’ve accumulated any AP, IB, community college dual credits, or any other form of transferable college credit, see what classes can be waived or if you’ve fulfilled any general education requirements. All those credits you worked so hard for can save you a lot of money in the long run. When researching courses, be sure to check out student reviews. But I personally recommend steering away from particularly negative reviews that don’t provide good reasoning for their opinions (i.e., “Professor Smith is the worst professor in the history of the world!!! Don’t take this class unless you love suffering!!!”). Look for three-star or other middle-of-the-road rankings, which typically give balanced, accurate reports compared to reviews that are particularly polarized either way. Some colleges require students to live on campus their freshman year, and every college should have a list of recommended items to bring on their housing website, as well as what is and isn’t allowed in the dorms. You can also find a ton of lists online that are super useful too [like this one!]. Also, taking notice of what you use on a daily basis now will be extremely helpful to you in the future, when you’ll inevitably forget to pack an essential like toothpaste. Fortunately toiletries and other minor items can be purchased on a quick trip to the convenience store or ordered from an online shopping service. I feel super nerdy saying this, but I personally made a whole Google Sheets document detailing clubs and professional development organizations I plan to join in college. You, of course, needn't do something like that! But, it would be an excellent use of your time to at least check out what opportunities are available on campus. From mock trial clubs to outdoor programs, there’s sure to be something for everyone! Student groups aren’t the only things you should be on the lookout for. Internships and job opportunities are also great experiences to put on a résumé, and they may even lead you to the career of your dreams. Research internships through your intended major’s department, noting if they’re primarily for upperclassmen or if freshmen can apply. Even if they’re unpaid, they can provide great connections that can lead you into that aforementioned dream career. At some point in your college life, you’ll be up at some insane hour reminiscing about the “good old days” of high school. Taking some photos before the beginning of one of the biggest chapters in your life will create some great memories. Going on quintessentially summer road trips with your best friends is a fantastic way to end the summer before college, but remember to spend some time with your family too. They’ve seen you grow up so much these last two decades of your life, and having some family time playing board games could be another memory for you to cherish. To all those going off to college and beyond, I wish you good luck on your journeys! Ryan Nguyen is a high school senior in the wonderfully wet Pacific Northwest. Perpetually cheerful, he plans to study journalism and international economics in the verdant forests of the University of Oregon. Scoducks! You can find him on his Twitter @ry_anguyen.